On average, a C or C++ developer showed a better understanding and application of data structure and their coding skill was also better than Java developers. This is not a coincidence though. As per my experience, there is a direct correlation between a programmer having a good command of the algorithm also happens to be a good developer and coder. I firmly believe that interview teaches you a lot in very short time and that's why I am sharing some frequently asked Data structure and algorithm questions from various Java interviews. If you are familiar with them than try to solve them by hand and if you do not then learn about them first, and then solve them. If you need to refresh your knowledge of data structure and algorithms then you can also take help from a good book our course like Data Structures and Algorithms: Deep Dive Using Java for quick reference. For the sake of clarity and focus, I have categorized these data structure and algorithmic questions into various sub-category e.g. String questions, array-based questions, linked list questions, binary tree-related questions, searching and sorting based questions and bit manipulation questions. This way you can start with the topic you feel most comfortable and slowly progressing to the topic which you want to improve. String is probably the most used data structure. You will see it right from your programming course and you will use it throughout your professional project. There is hardly an application written in Java and C++ who doesn't use String. They are everywhere. From C++ perspective, String is nothing but a null-terminated character array, but from Java perspective, String is full-fledged object backed by character array. In this category, you will find questions which require String manipulations e.g. substring, reversing, searching, sorting, slicing and dicing etc. If you can solve all these String questions without any help then you are in good shape. 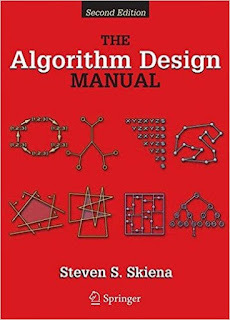 For more advanced questions, I suggest you solve problems given on Algorithm Design Manual by Steven Skiena, a book with toughest algorithm questions. Next to String is array, the second most frequently used data structure. Array stores element in a contiguous memory location and in C++ you can access array elements using pointer arithmetic as well, but in Java array is again an object, which provides just length method. You can only access the array using index and Java also doesn't valid index check and if you try to access an array with an invalid index, you will get java.lang.ArrayIndexOutOfBoundsException, so beware of that. If you need more interview questions based upon linked list then you can also refer to this list of 30 linked list questions. tree data structure is another popular data structure in programming interviews. It has several variants e.g. binary tree, binary search tree and even binary heaps. It's almost guaranteed to see a couple of binary tree questions in programming job interviews. Stack and Queue are derived data structure i.e. they are implemented either using an array or linked list, but they have unique features. A queue is also known as FIFO data structure, which means First In First Out i.e. the element which will be added first will also be retrieved first. Queue allows you to add an element at the tail and retrieve an element from the head, thus giving FIFO ordering. On the other hand, Stack is a LIFO data structure, Last In First out i.e. the element which will be added first will be the last one to go. This property is often used to convert a recursive algorithm into an iterative one. To learn more about Stack and Queue, I just you to join a good course on Data Structure and Algorithms e.g. Deep Dive into Data Structure in Java. For now, let's see some coding problems based on Stack and Queue data structure in Java. 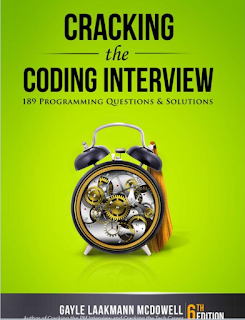 If you need more such coding questions you can take help from books like Cracking Code Interview, which presents 189+ Programming questions and solution. A good book to prepare for programming job interviews in short time. Search and Sort based questions are the most popular algorithmic questions on any programming job interview. Interviewer often asks to implement various sorting algorithms e.g. Bubble sort, Quick sort, merge sort and asking to implement binary search etc. Other algorithms questions e.g. collision detection are not so popular but they are very interesting to solve and develop your grasp on creating your algorithms. 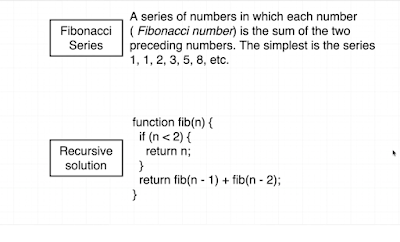 If you want to learn more about other algorithms, apart from search and sort e.g. 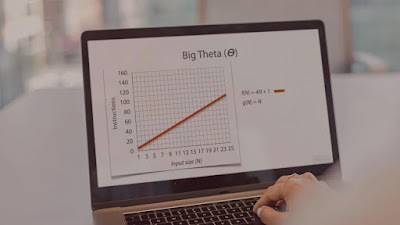 advanced String algorithms then I suggest you check out the Data Structure and Algorithm MasterClass Part 1 - 2 on Pluarlsight. Last but not the least, we will see some bit manipulation based questions. There is a popular saying that, there are two kinds of programmers, one who knows binary and other's who don't. Yes, understand binary and playing with bits is an important skill for good programmers. Every major programming language e.g. Java and C++ provide both bitwise and bit shift operators, which you can use to manipulate bits and solve problems. So far we have seen most of the programming questions based upon data structure and algorithms but sometime you will also find questions from software design, Dynamic Programming, and other logical and tricky questions. That's all about some data structure and algorithm interview questions for programmers. Remember, its one of the most important topic for all levels of programmers, but its even more important for freshers, computer science graduates and junior programmers with 1 to 2 years of experience. As you get more experienced, you started seeing less number of data structure and algorithm questions e.g. a Java developer with 3 to 4 years of experience will see the lot less DS and also questions then freshers and a more senior Java developer e.g. someone with 5 to 6 years of experience will see even less. Nonetheless, its an important topic and programmer should not overlook it. I have found good companies like Google, Microsoft, Amazon they use Data structure and algorithm questions all the times. On the algorithmic front, there are more e.g. interview questions based upon Dynamic Programming and backtracking, which I have not shared here, but I'll add it sometime later. If you come across any good data structure and algorithm question, don't feel shy to share with us. Thanks a lot for reading this article so far. If you like these Data Structure and Algorithm Interview questions then please share with your friends and colleagues. If you have any questions or feedback then please drop a note. All the best for your interview!! Another list of good questions. Try it.